What are the challenges for scholarly publishing in the humanities and social sciences in the context of today's shrinking library budgets and the continued publish-or-perish demands of academia? 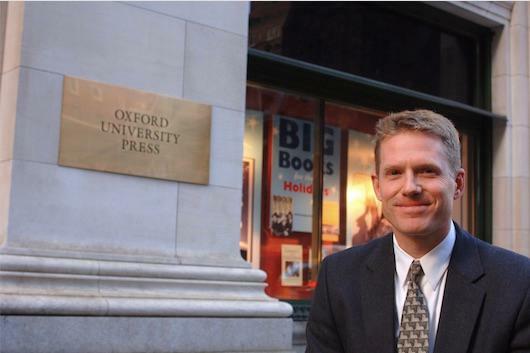 How does the largest university press in the world steer its publishing strategy to influence positive change and continue to succeed as a self-sustaining nonprofit business? Niko Pfund, President and Academic Publisher of Oxford University Press USA will provide an overview of what every aspiring author of serious non-fiction should know, with a particular emphasis on the industry's and Oxford's diversity initiatives in the context of the scholarly publishing industry today. Following Pfund's talk, faculty members Kamela Hayward-Rotimi and Adriane Lentz-Smith, and Duke University Press editor Gisela Fosado will share their perspectives on diversity and publishing and engage Pfund and the audience in conversation.